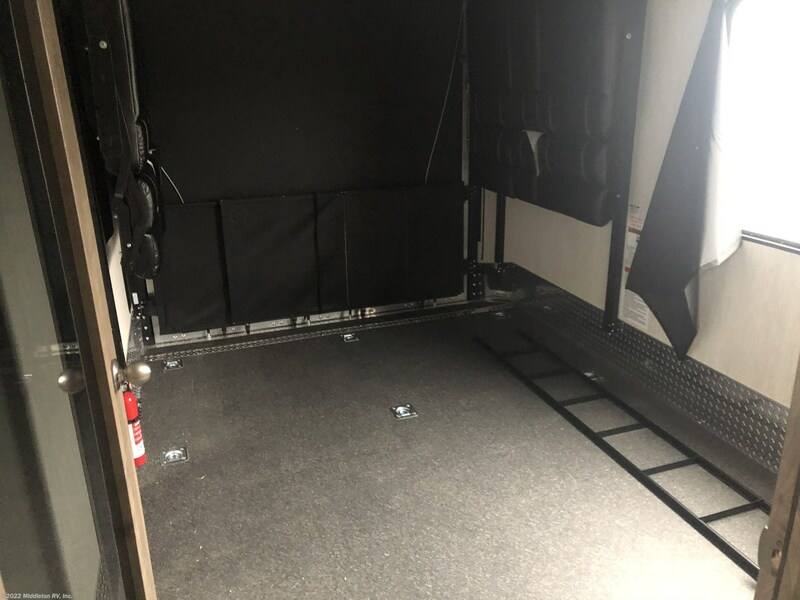 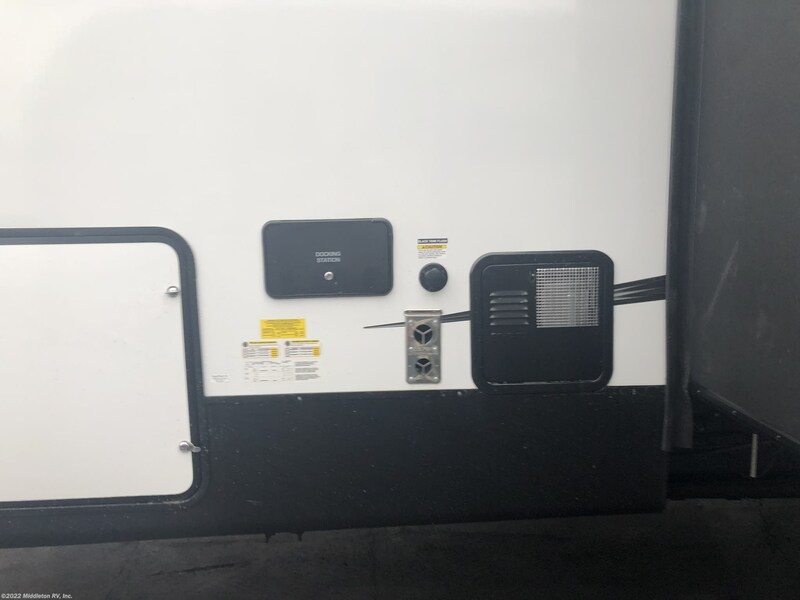 5.5 ONAN Generator, 13 Ft Garage, 2 Restrooms, Rear Patio, 100% LED Lighting w/accents, 12V Master Switch, 15K A/C, 50 AMP Service, 8' Ramp Door, B/U Camera Ready, Black Tank Flush, Bluetooth Stereo, Carbon Monoxide Detector, Central Docking Station, Detachable Coil Spray Hose, Dual 30# LP Tank Upgrade, Dur-A-Poxy Cargo Floor, Enclosed and Heated Underbelly, External TV Hookup, Flush Mounted Cook Top w/Glass Cover, Fuel Station w/Pump, Heated Reclining Theatre Seating w/Massage, Laminated Bed Deck, Laminated Sidewalls, Laminated Slide Out End Walls & Roof, Large Flat Screen TV, LED Lighted Awning, LED Lighted Front Cap, LED Rear Loading Lights, Multiple USB Charging Ports, Outside Shower w/Hot & Cold Water, Power Awning, Residential Wood Blinds in the Living Room, Seamless Counter Tops, Sink Cover, Skylight in the Shower, Spare Tire, Undermount Stainless Steel Sink, Upgraded Garage Floor w/5000# Tiedowns, Upgraded Stainless Steel Refrigerator w/Invertor, 2nd A/C, 6 Point Hydraulic Leveling, 7000# Axles w/8 Lug Wheels, G-Rated Tires, Ramp Door Patio System, 5.5 ONAN Generator, Roof Ladder, Screen Wall/Tent Wall, Ultracold Heated Holding Tank Pads, Ramp Patio Steps w/Handrail, 13.5K Rear A/C w/Heat Strip and Power Management System. 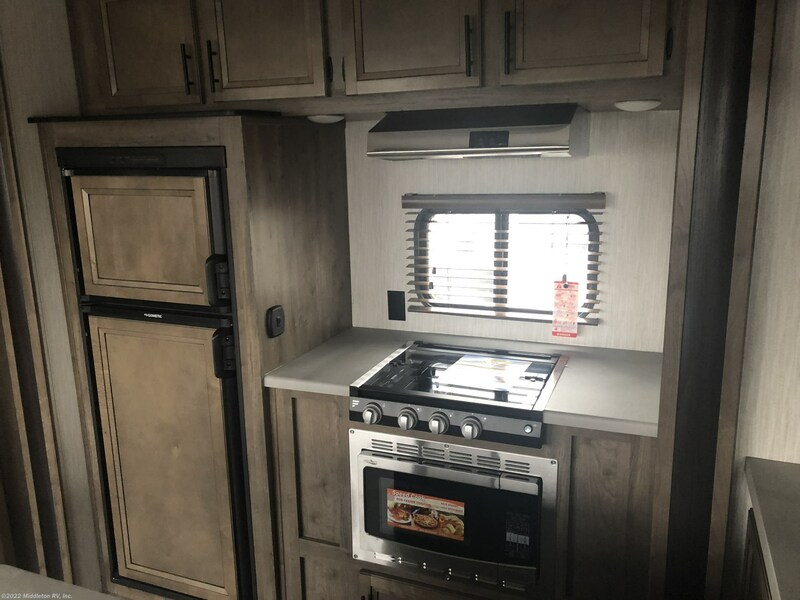 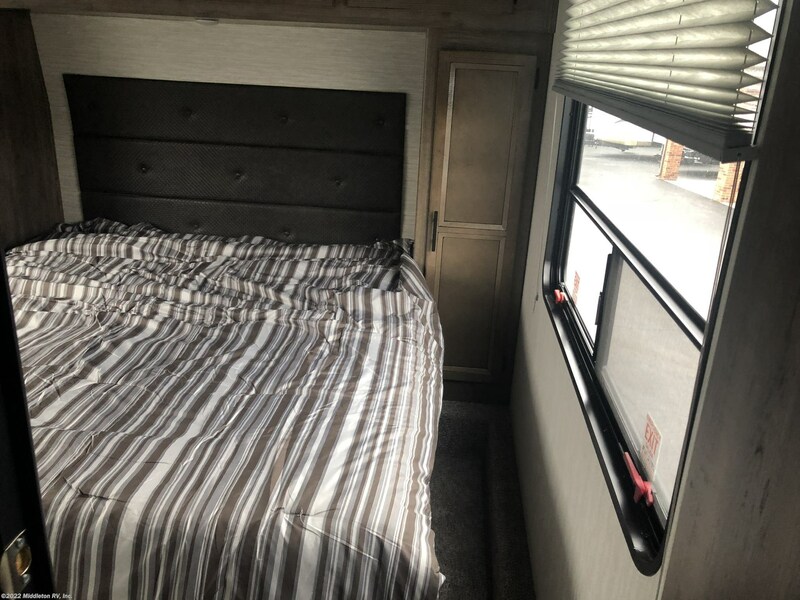 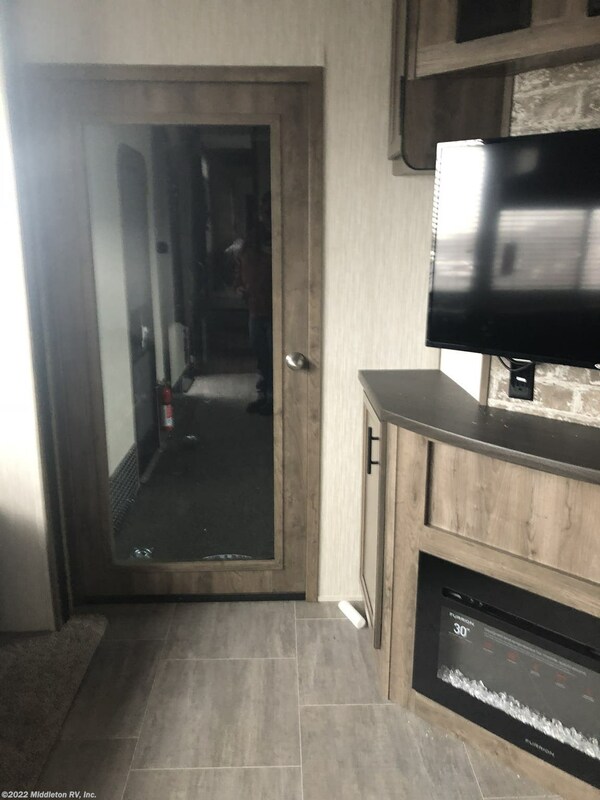 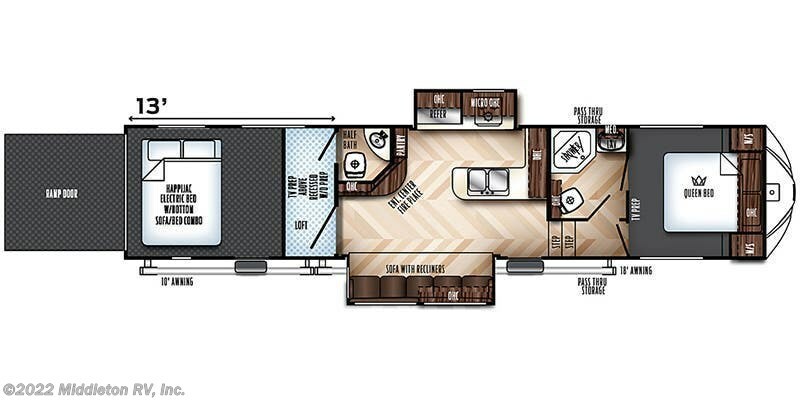 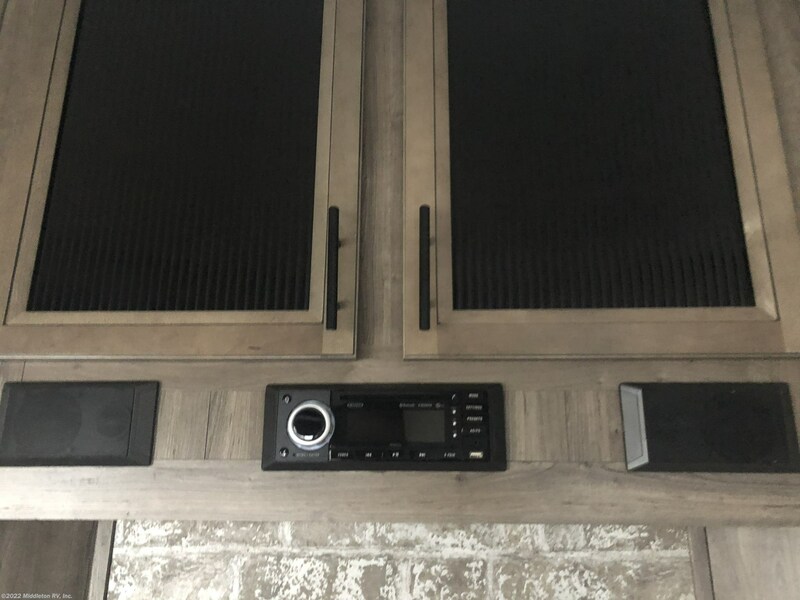 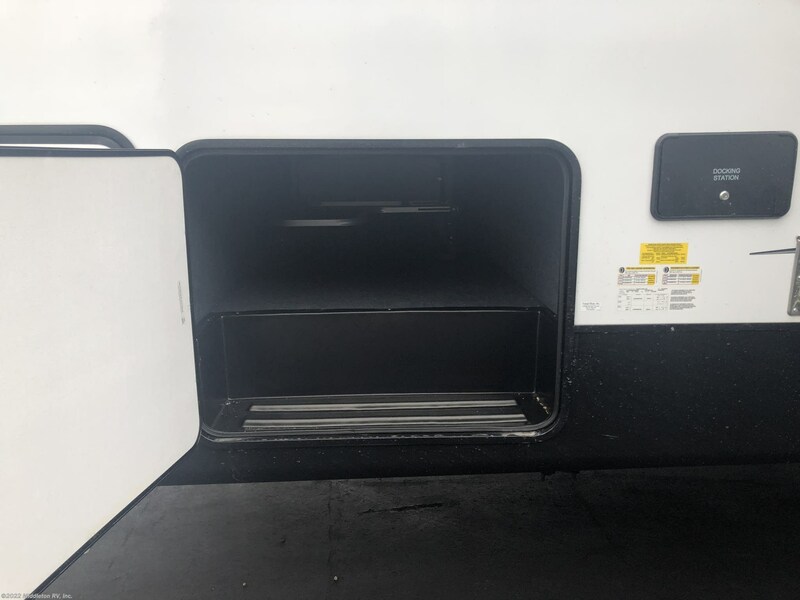 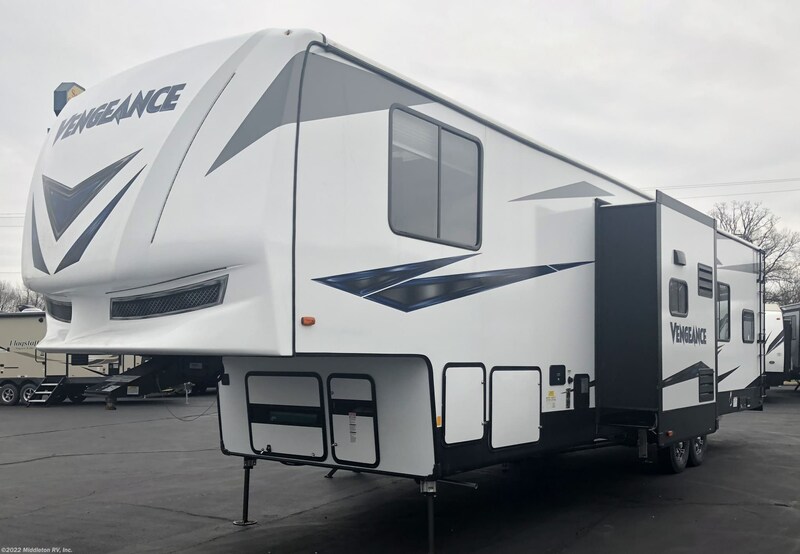 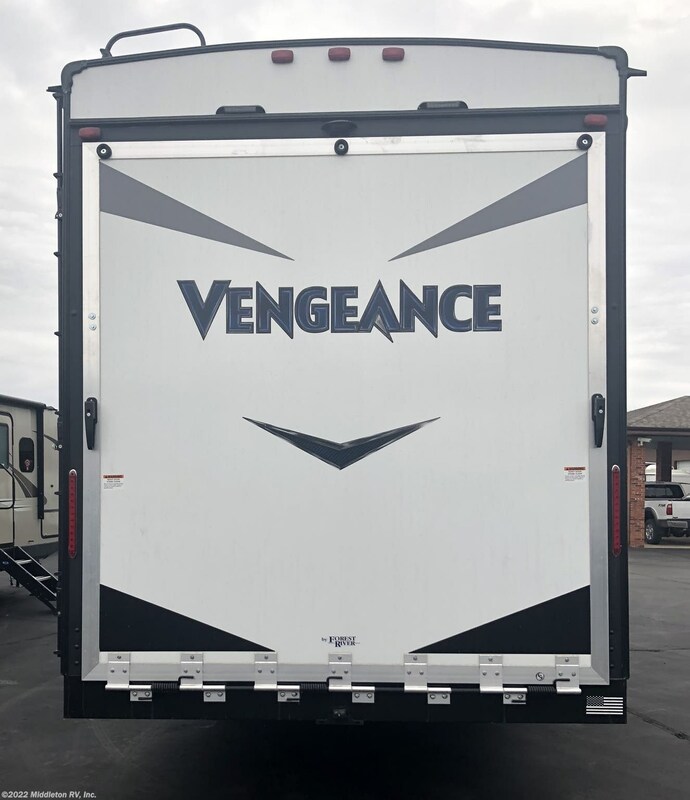 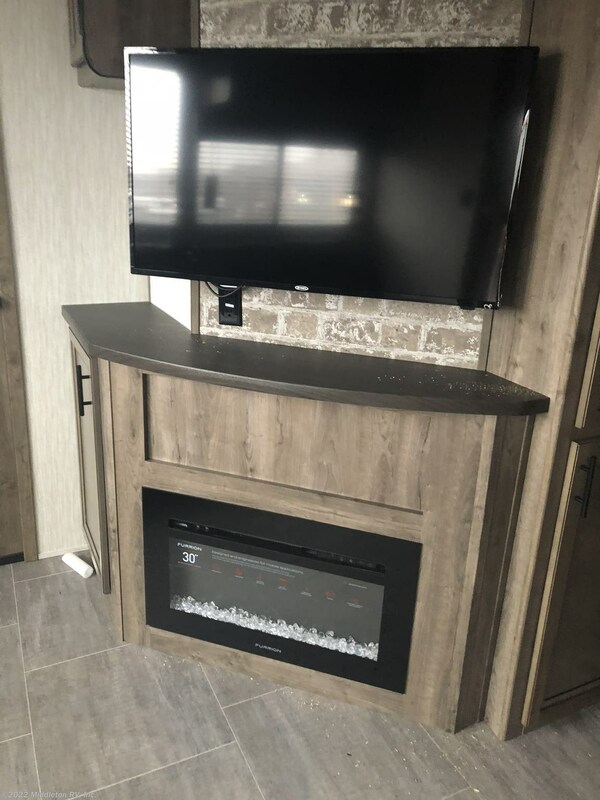 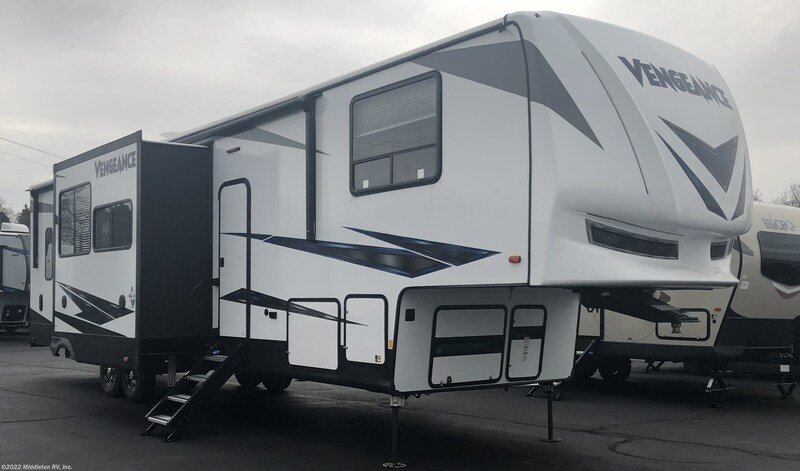 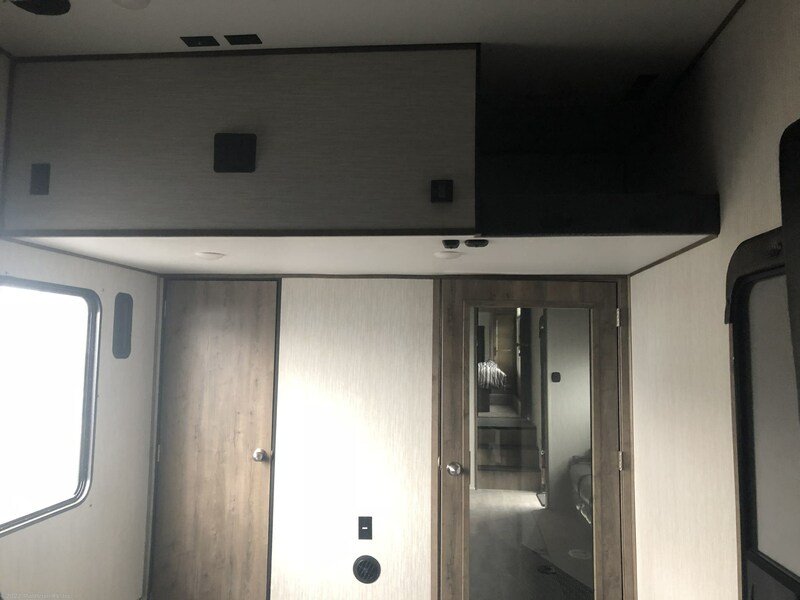 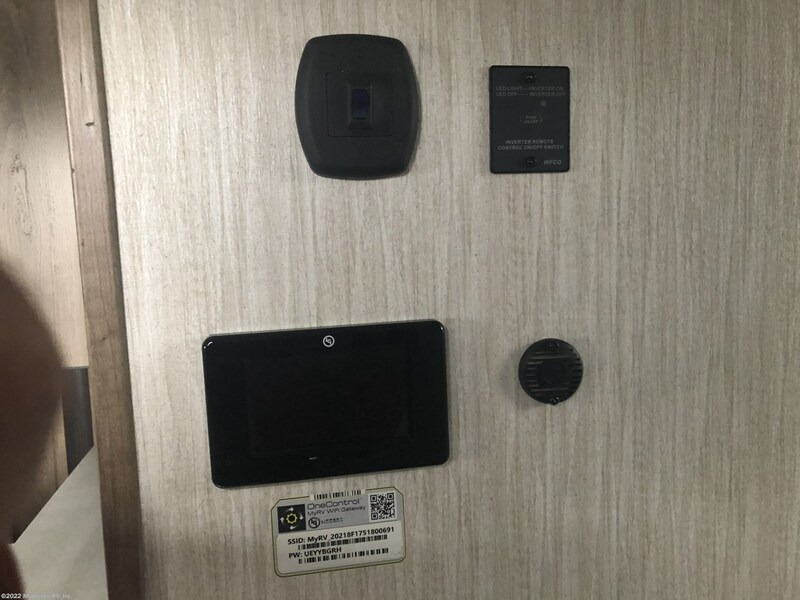 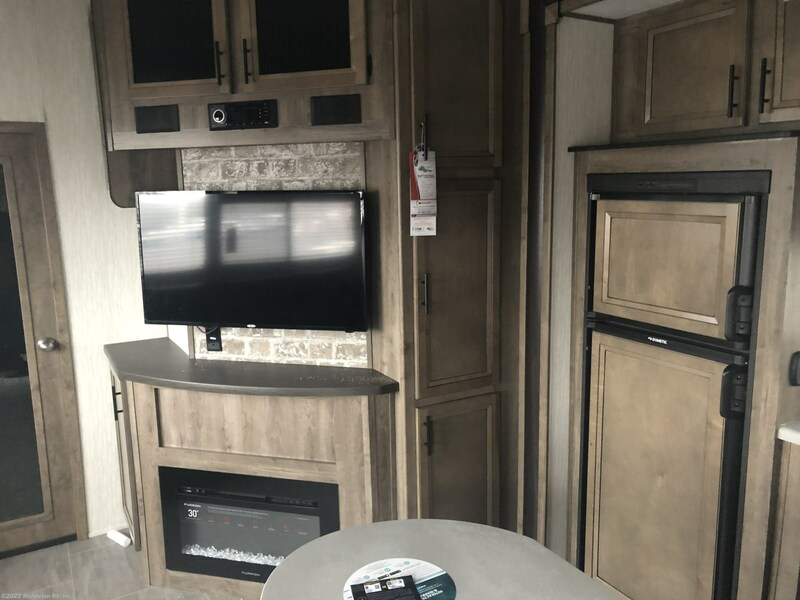 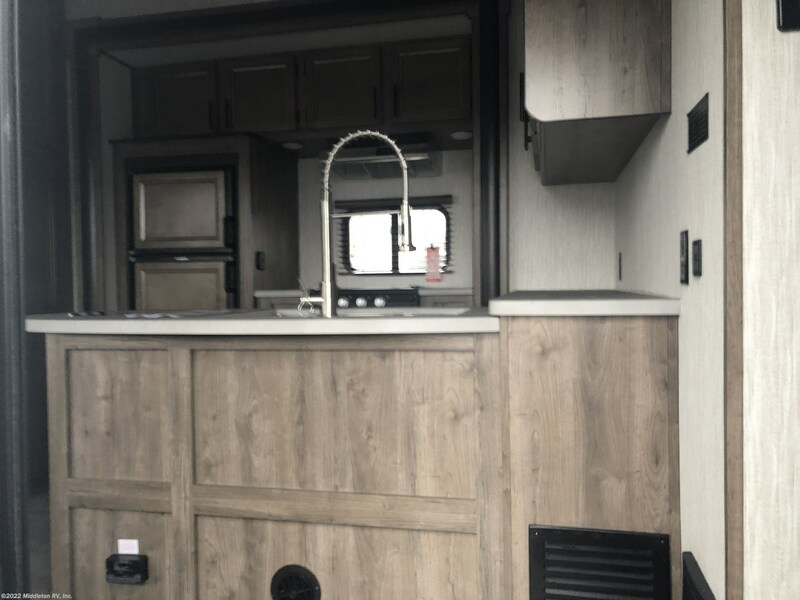 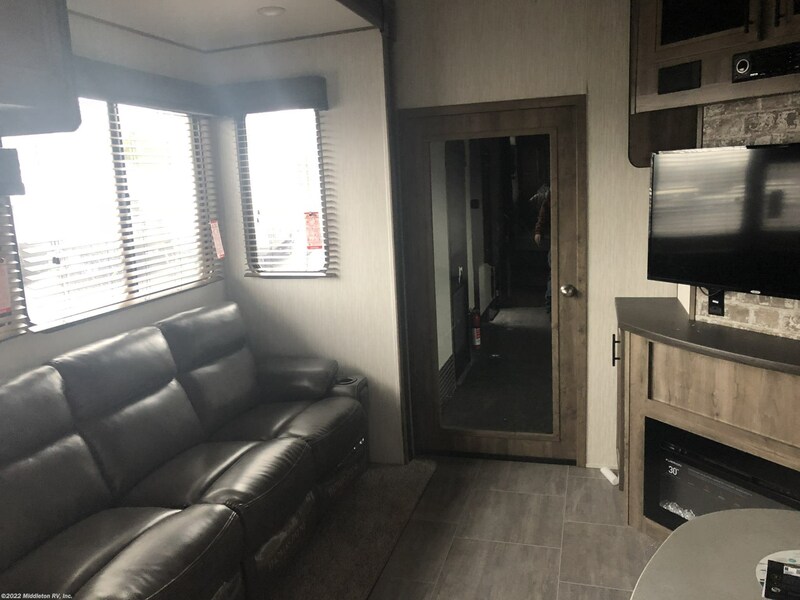 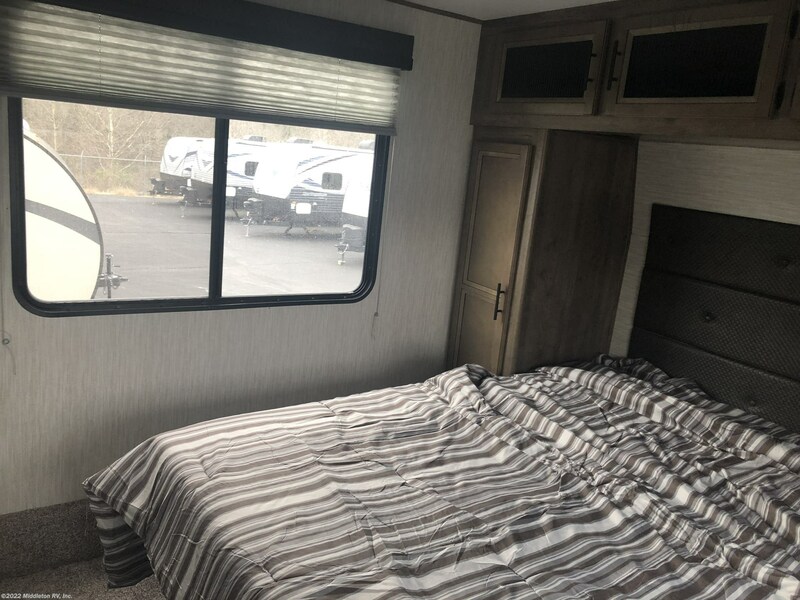 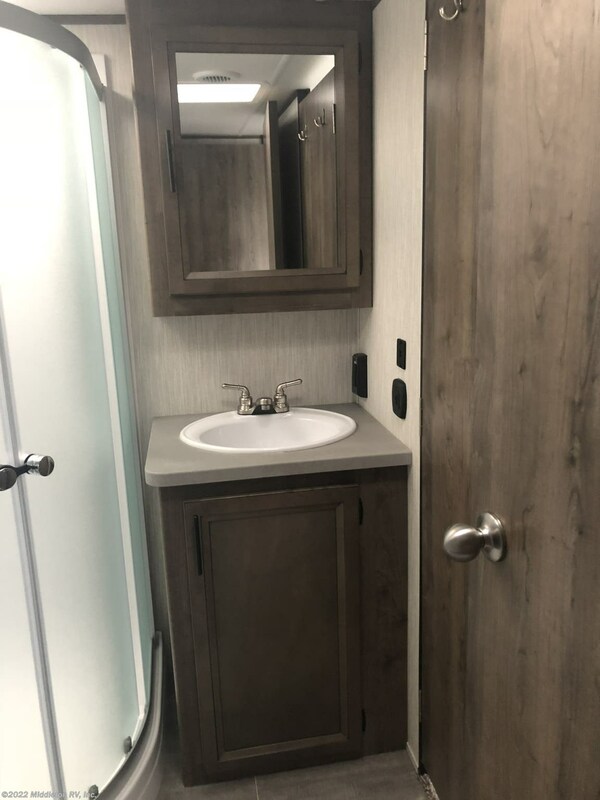 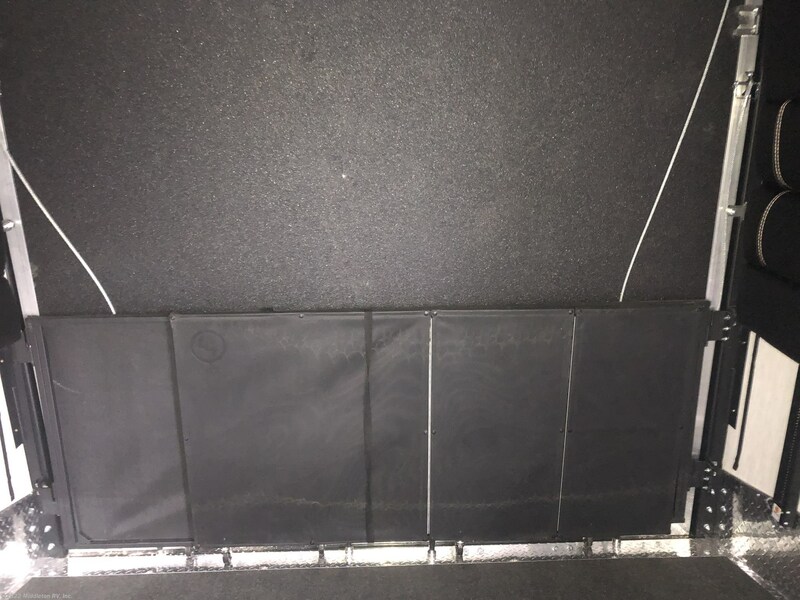 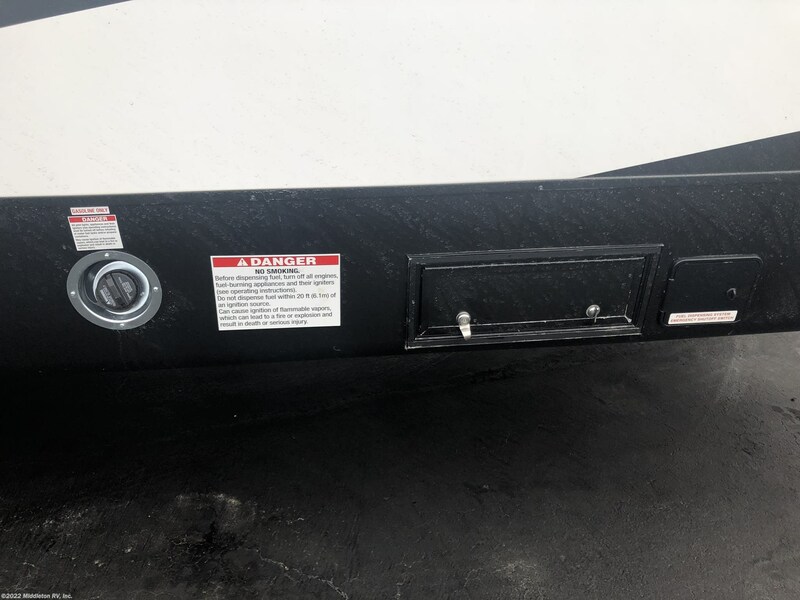 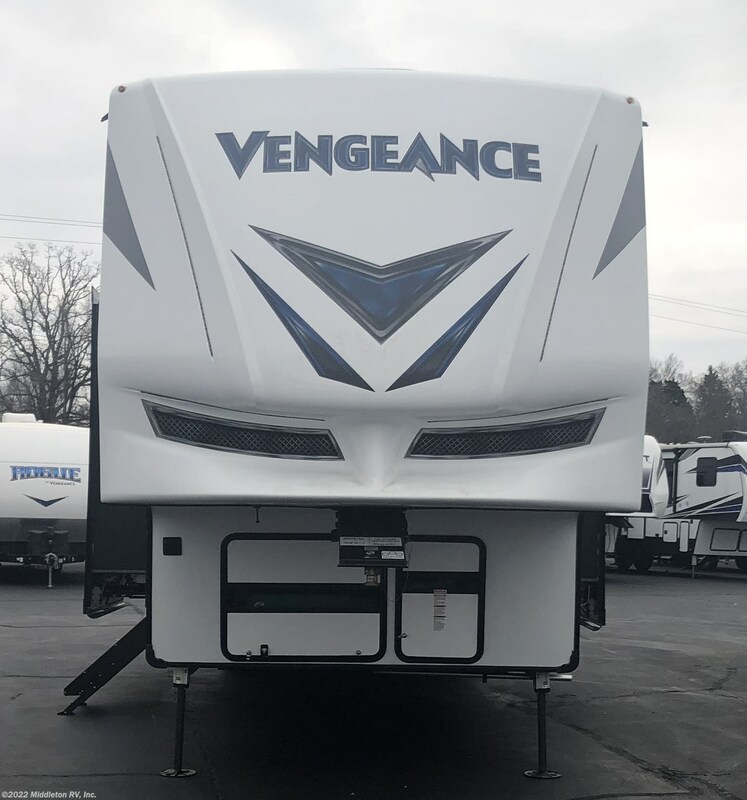 See this Stock # 502590 - 2019 Forest River Vengeance 348A13 on Middleton RV, Inc.! 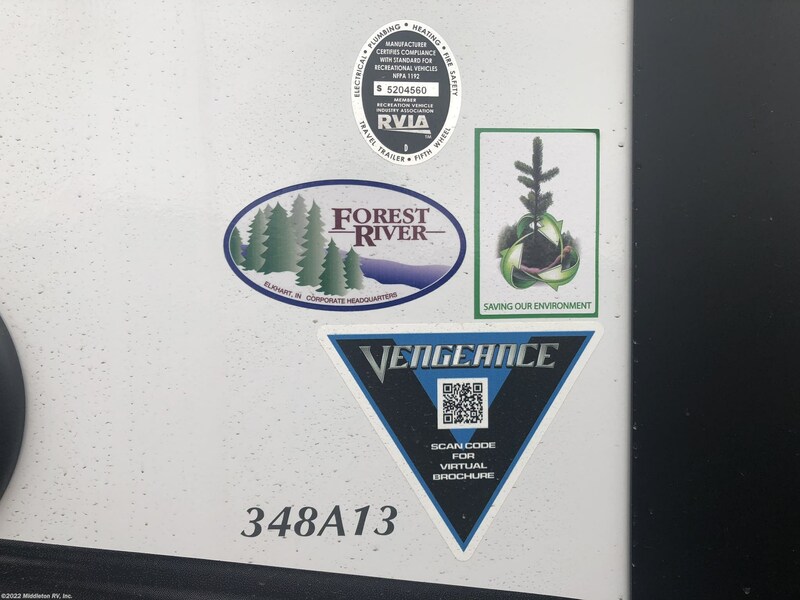 Check out Stock # 502590 - 2019 Forest River Vengeance 348A13 on forestriverrvsource.com!